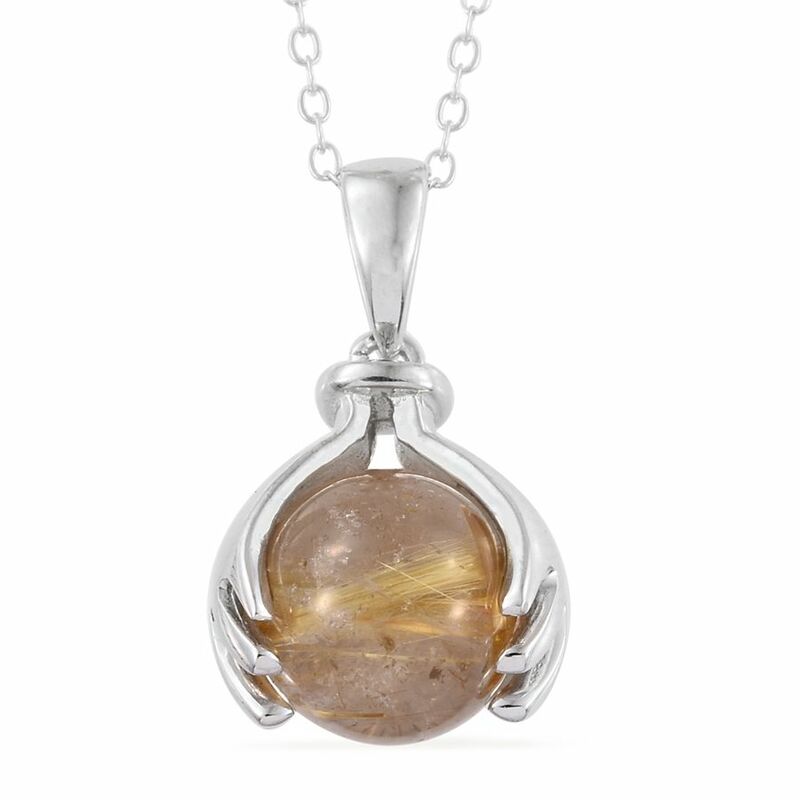 Golden rutilated quartz features icy-clear rock crystal threaded with golden rutile needles. As one of the most abundant minerals on Earth, it comes as no surprise that quartz is found in endless varieties. From specific colored varieties, such as amethyst and citrine, it’s possible to find nearly any shade of color in a naturally occurring environment. Rutilated quartz represents one of the more unusual types, as these stones are crystal clear examples of pure quartz, save for needle-like inclusions known as rutiles. 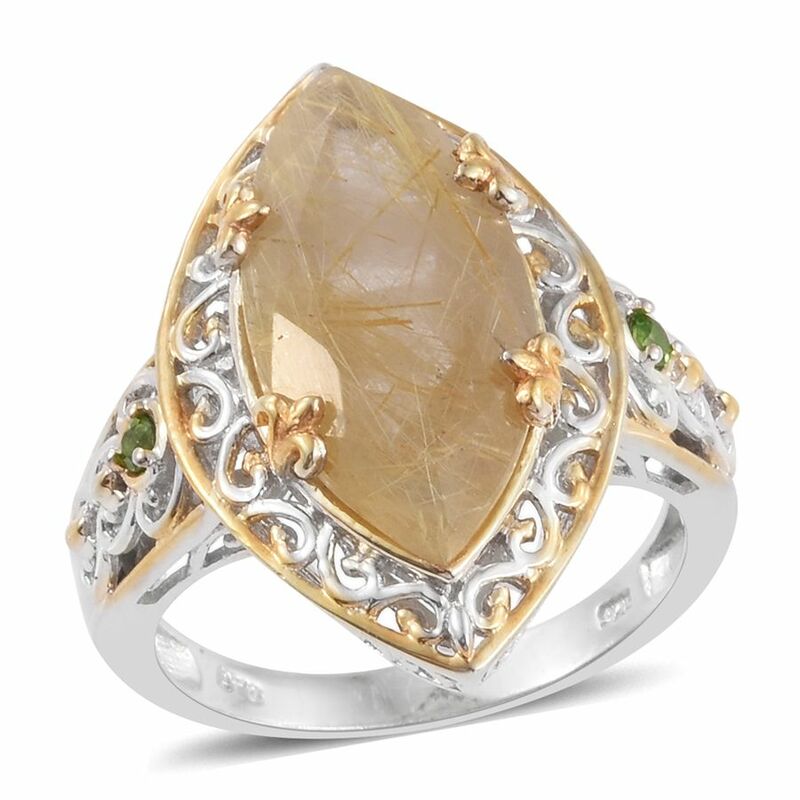 Golden rutilated quartz features brilliant gold-colored rutile inclusions threaded in unique patterns throughout the stone. Rutile is a mineral in its own right, a form of natural titanium dioxide. They can range from a brownish, bloody red all the way through coppery or golden colors. Rutiles are responsible for the visual gem phenomenon asterism, otherwise known as the star effect, that can be witnessed in gems such as star sapphire or black star diopside. Their metallic luster is excellent for catching light and helps refract it throughout gemstones where they are present. Within the glassy finish of quartz, these inclusions provide additional captivating shimmer and shine as light plays across the unusual and unique patterns found in each stone. What Determines a Rutile Pattern? Rutile patterns are distinct and unique, and you will never witness the same pattern in two gems, even if they are from the same source! Golden rutiles are traditionally seen in quartz. The most prized patterns are six-rayed stars. However, though the commonly occur in quartz specimens, they are rare to find in gemstone examples. An expert eye is needed to shape the stone, orienting the rutile inclusion so that it best displays in its finished setting, all the while preserving the integrity of the stone. Complicating matters is how the rutile crystals develop within their quartz hosts. Rutilated quartz forms through a process known as epitaxy. Epitaxy simply means that the growth of one crystal follows the structure of another. Rutile inclusions found within quartz grow over inclusions of hematite. The rutile follows the structure of the hematite, thus forming the signature needle-like shapes. • Red, copper and golden rutilated quartz is sometimes known as the “hair of Venus” in gemological circles. 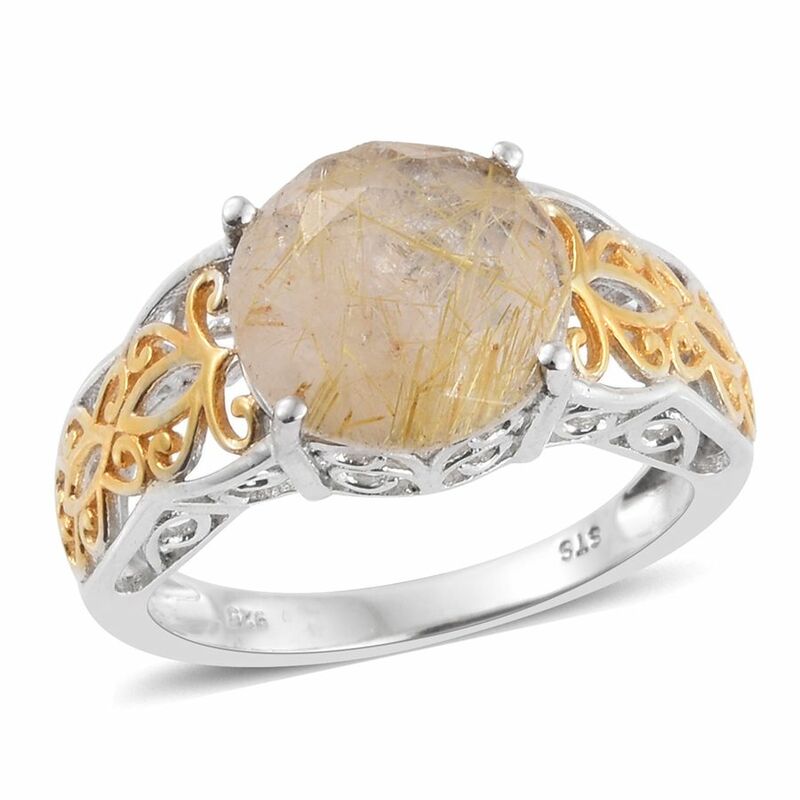 The fanciful name refers to the shining rutile strands visible within these stones. • American gemologist George Frederick Kunz later redefined this word to describe rutilated quartz specimens. Debate remains as to whether this was intentional, or a misunderstanding from translating De Saussure from French. Quartz is found in abundance all over the globe. Rutilated quartz of gem quality can be found in several locations worldwide, including Australia, Brazil, and the United States. Shop LC has sourced our supply of golden rutilated quartz from the mines of Minas Gerais, Brazil. Brazil is world famous for their gemstone production, and are known as top suppliers of pure, eye-clean specimens of quartz. 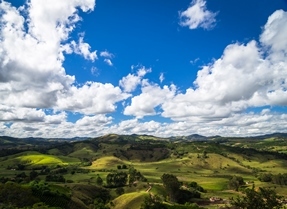 Minas Gerais is a Brazilian state responsible for the majority of gemstone production within the country, and for some kinds of gems, the world. Minas Gerais actually means “general mines” in Portuguese. Many of the gemstones mined within the country form within pegmatites. These are formations of rock that are infused with crystallized minerals, or what we can consider the raw component of a faceted and polished gemstone. Rough rutilated quartz is time-consuming to extract, as the quartz-bearing pegmatites form in treacherous, rocky terrain. The going is slow, as traditional hand tools like picks and shovels are required to remove the rough from the Earth. 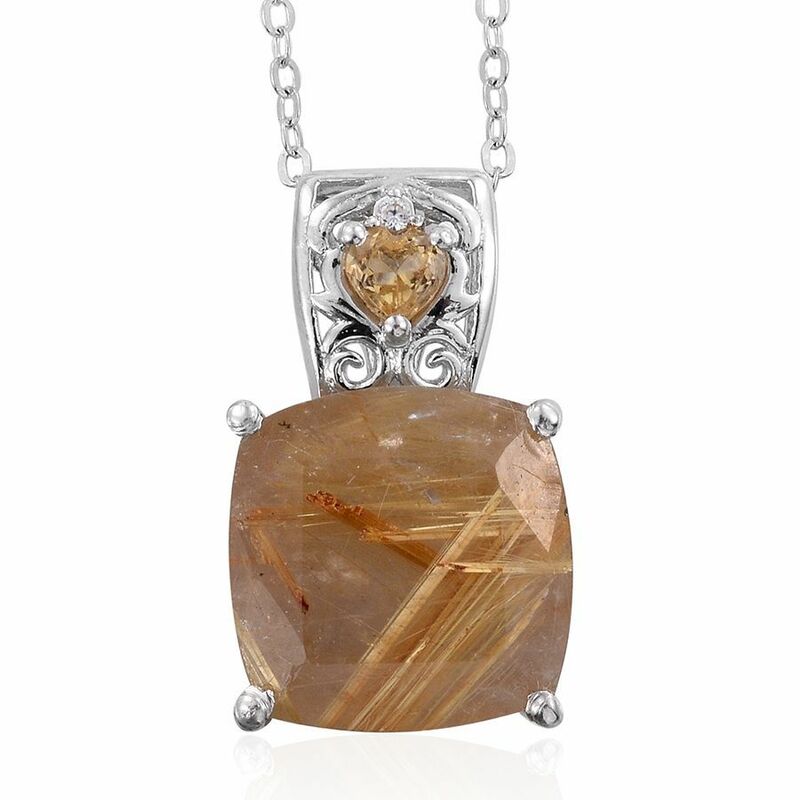 Golden rutilated quartz is colorless rock crystal quartz, threaded with golden rutile needles. Sourced from Minas Gerais, Brazil. May also be known as sagenite.